Seek out one of the most exquisite Fort Collins wedding venues in town, and treat yourselves and your guests to an occasion that transcends the ordinary. Our weddings are all unique, made memorable by elite on-site catering services and professionals and an atmosphere of refined luxury. Plan the most special day of your life with us, alongside all your loved ones, and experience an occasion of pure joy. The Elizabeth can accommodate elegant weddings in two event spaces. Both spaces provide a combination of contemporary and traditional décor with subdued color schemes to fit any wedding style. With our beautiful Library centered in between the two rooms, guests will be able to experience the history of Fort Collins in the well-worn books adorning the shelves. Elevated by the musical and artistic influences interspersed throughout the property, The Elizabeth is truly the place for creating the memories you'll hold onto for the rest of your life. At 2,605 square feet, this space can accommodate up to 130 guests, and is divisible into two sections. With a combination of contemporary and traditional décor inspired by the beautiful millwork seen throughout the hotel, custom carpet design, and a muted blue, beige, gold and cream color scheme, the room is both intimate and comforting, a versatile space for rejoicing, reminiscing, and dancing the night away. 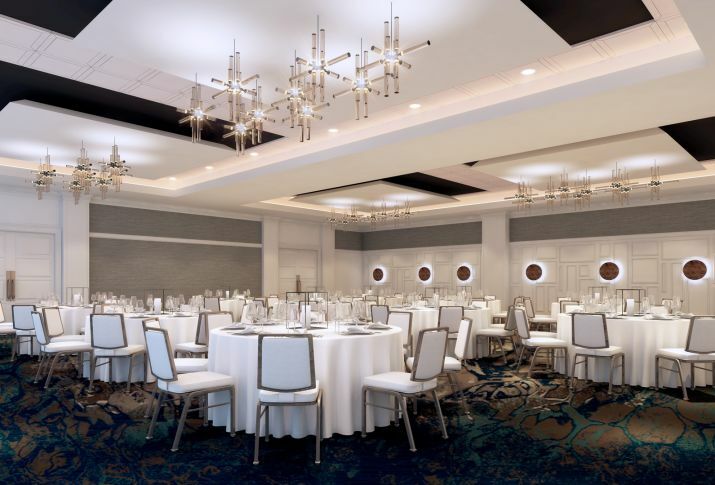 Offering 1,088 square feet, the Chestnut Room can accommodate up to 60 guests and is distinguished by floor-to-ceiling windows overlooking Chestnut Street. Doors on the window wall allow indoor/outdoor access, while the high ceilings create a light and airy feel. 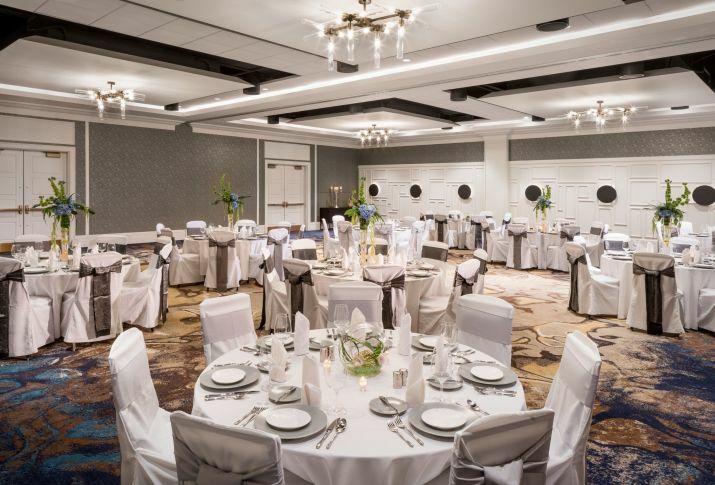 Although this room features the same color scheme and carpet as the Walnut Ballroom, its unique attributes include four flat-screen monitors which adorn the walls for a high-tech experience, should you choose to incorporate a short film or slideshow into your wedding reception.